Prime Day and other retail events may be creating a new peak, but during peak and every other day of the week companies are on a mission to serve better through mobile innovation. It’s no secret that customer experience has been driving the evolution in almost every industry, and is constantly creating new challenges to serve. Supply chain and logistics are no exception, and often at the forefront. We want to reach customers faster and more cost-effectively while making processes easier and more efficient. The simple guiding principle at the 1995 launch of Amazon – to be Earth’s most customer-centric company – pioneered the Amazon Effect, and the ensuing snowball of boundless innovations has been compelling companies to habitually reinvent themselves and their supply chains to meet the growing expectations of customers the world over ever since. And now, e-commerce fuels longer peaks and off-season mega-sales like Prime Day create alternate peaks. So, how do you make things better and faster as supply chains grow more global and complex? Hint: It’s within reach, literally. We live in a mobile world and increasingly rely on our personal devices as they’ve become a universal tool for almost everything. Mobile devices play a big role across all industries as they’ve become viable substitutes for our wallets, keys, TVs, home controls, health trackers, and a general communication device, while making other products obsolete. Why should our supply chains be any different? Mobile capabilities continue to enhance user efficiencies and the customer experience, while helping to streamline daily processes and manage shipping spikes across multiple industries. Christmas in July may be a new peak. As Amazon’s Prime Day 2018, actually a day-and-a-half event, reported record breaking numbers — over 100 million products sold, which “surpassed Cyber Monday, Black Friday, and the previous Prime Day when comparing 36-hour periods.” And even with small businesses capitalizing on over US$1 billion of sales on the platform, this fourth annual online shopping campaign has led to a frenzy of online sales from retailers all over, looking to take advantage of the shopping momentum. Vendors and third party sellers have deadlines months before the event to have inventory prepped for the regions they’re running campaigns in, and having better planning tools allows supply chain managers to work smarter and more efficiently. As inventory moves around the world to prep for the blitz speed event, mobile solutions provide benefits from first to last mile – managing freight movements, tracking inventory from containers through cross dock, while reporting on customs with language support, and then within the yard and into the warehouse providing a detailed list of user actions. Download the app, download a configuration, log on, and get full utilization from any Android or iOS device. In the first few hours of the start of Prime Day, millions of orders were placed. Speed and accuracy become vital components to meeting the short delivery window expected by customers. 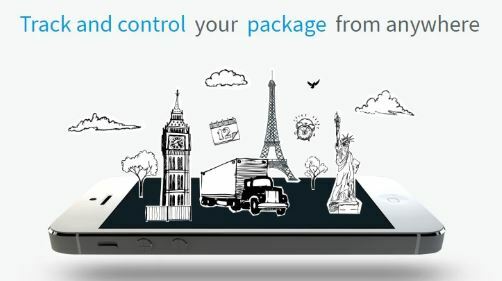 With active messaging, dock staff can manage and move products faster through the warehouse, and mobile solutions even have the ability to group together multiple packages for a single customer shipment. Further cross dock capabilities allow for a guided loading process while simultaneously building a manifest for the driver through item scans, and provide real-time item tracking on freight movements. This visibility allows sellers to closely monitor inventory levels and respond to issues and opportunities immediately. Going the extra mile for the customer. Watch your package arriving in real-time. The final mile is not only where the customer experience is ultimately tested, but also where 28 percent of the delivery cost is attributed, which adds up to over US$85 billion globally. A mobility solution can create unique and optimized workflows to save costs from mis-sorts, lost wages in waiting time, cost per mile on redeliveries, and missed appointment penalties. A solution like MobileSTAR provides immediate value with ready to use features that are intuitive and require limited training for new or seasonal drivers. Additional features like route optimization with turn-by-turn navigation and calculated ETA provide drivers with the fastest running times. Customers also have an interactive platform to communicate with the driver and receive notifications via SMS messaging for delivery changes and real-time driver tracking. Most Prime members get free shipping AND free returns, so if any of those impulse buys don’t work out, the return journey is equally, customer – and user-friendly and efficient. Tailored to fit any industry, any peak. These are just a few of the out-of-the-box standard configurations that are business-focused, pre-configured applications used for instant access and quicker movements. Outside of the retail industry, the same rules apply to manufacturing and distribution. As food and beverage shippers begin ramping up for holiday peaks, or pharmaceuticals companies are responding to health crisis, supply chains still require smarter tools and better collaboration for success in the face of high volumes. A quick look at the numbers. There was a 16 percent growth in e-commerce over the past year, to almost US$1.5 trillion. The number of mobile phone users grew four percent to over 5.1 billion with growing use as point-of-sale, China’s State Post Bureau reported a 30 percent growth in small parcel deliveries, global logistics companies reported a 70 percent increase during peak periods, and the world’s leading e-commerce companies continue to expand markets and invest in world-class disruptive technologies and supply chain models. Applying an innovative mobile solution will provide your supply chain with the real numbers that matter. Maintaining profits by moving goods efficiently, while reducing errors, supporting growth, and increasing customer satisfaction ratings.